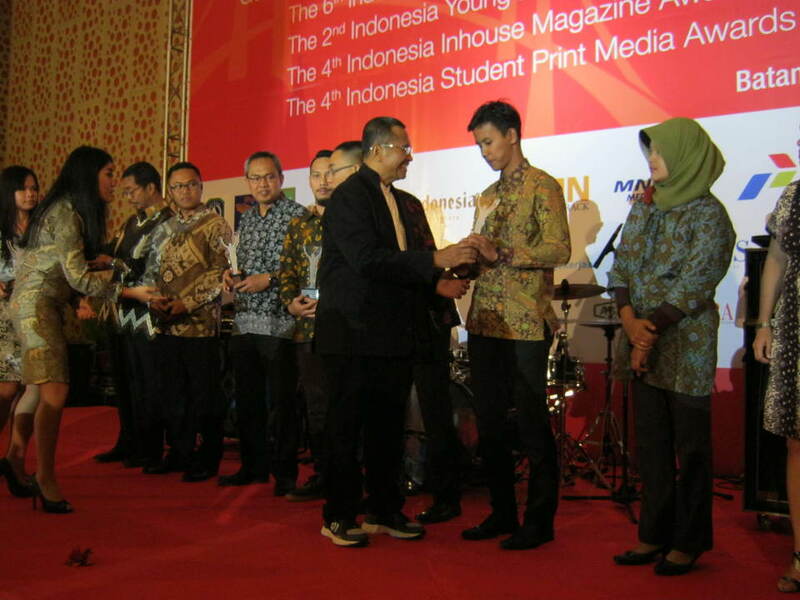 For the secondyear in a row, BINA NUSANTARA took home an award for Indonesia’s best in-house magazine in the university category at the fourth Indonesia ‘In-house Magazine Awards’ (InMA) 2015. The ceremony was held in conjuction with the commemoration of National Press Day, taking place in Batam on February 7, 2015. At the event, organized by the Press Company Union, the October-November 2014 edition of ‘INNOVATION’ from BINUS UNIVERSITY INTERNATIONAL with the cover story ‘International Youth Day 2014: Youth and Mental Health” was the Silver Winner in this category. Thebronze winnerswere from other universities:Identitas Magazine (UniversitasHassanudin) and Agrimag Magazine (InstitutPertanian Bogor). None of the magazines met the gold standard criteria. The chairman of SPS, DahlanIskan,presented the award to Radita A. W., a representative of BINUS Media & Publishing. “Last year you won and you made it again this year! 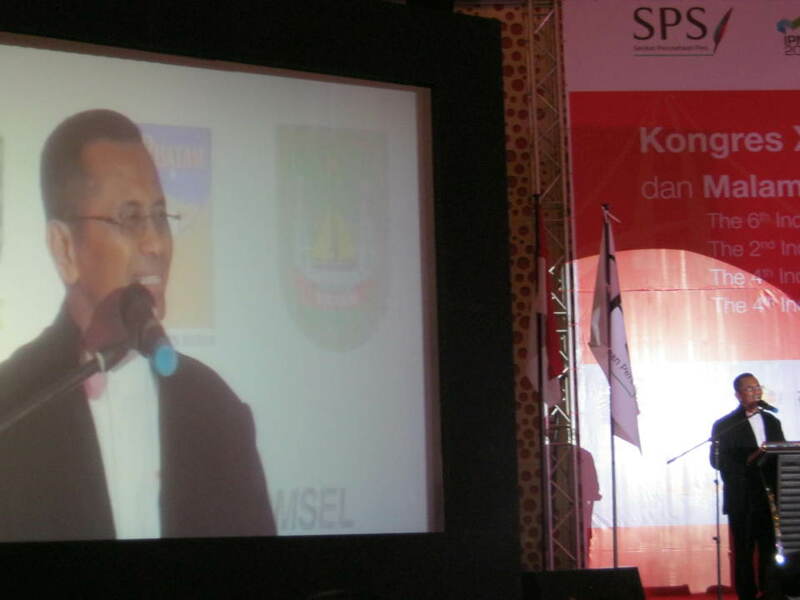 What a great achievement, congratulations!,” said Dahlan.